The eagle-eyed among you may have noticed something of a radio silence from the blog these past few weeks. At the beginning of the month I celebrated my birthday and welcomed a bit of a nasty virus that took up the whole first week of my new year so I’ve been playing catch up ever since. My apologies! I hope this delicious recipe will go a little way to making up for the lack of posts in this timeframe! I found the basic pancake recipe in time for Shrove Tuesday and have been tweaking and trialling it since to make it work better for me. The pancakes you get are quite thin and the batter is quite watery but the results are finger-licking good. I hope you enjoy eating them as much as we have in our house! 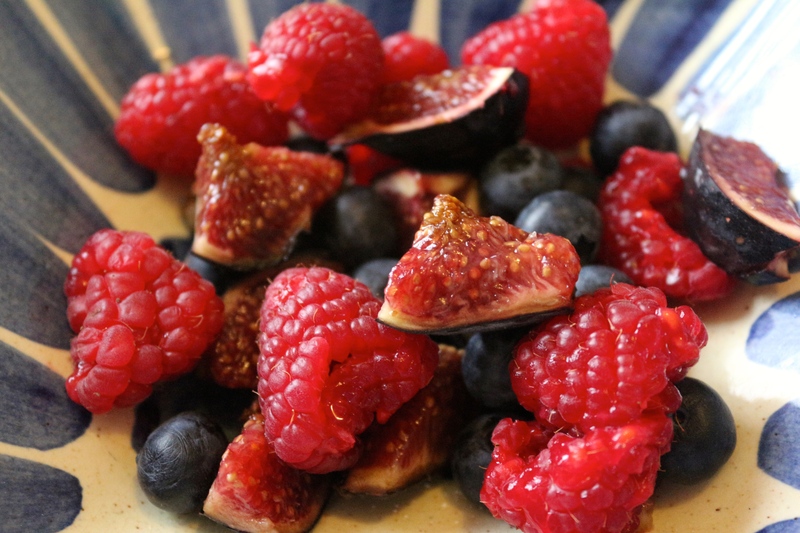 Berries – I’ve found blackberries, blueberries and raspberries to work best. They are more pliable than their denser family members. Add as many or as few as you wish but beware! Too many will make cooking tricky so exercise some caution until you find out what works best for you. 1/2 tsp cardamom – this is tricky to find, I get mine from Scandinavian Kitchen. They deliver to the UK only so if you’re from further afield you might like to check out Amazon for a better bargain. I use this in most of my cooking, from porridge to brownies to curries. Pinch of sea salt if you have it but really any old salt will do! This recipe is ‘wee buns’ as we say back home and very easy to get right. Pop your flour into a bowl along with your spices and a pinch of salt. Stir together and make a well in the middle. Crack both your eggs into the well and add your oil along with 50ml of your milk. Start to incorporate your ingredients from the middle out. I use an electric whisk but you could use a metal spoon if you fancy working out your arms though this recipe is all about embracing weekend morning laziness…it’s up to you! Once you’ve mixed everything up add the rest of your milk in a steady stream while you continue to whisk. Keep at this for about a minute. Your batter should resemble a slightly thick cream. Set your whisk or spoon to the side and add your berries. The trick is to smoosh them a bit – technical term – before you put the batter into the pan. 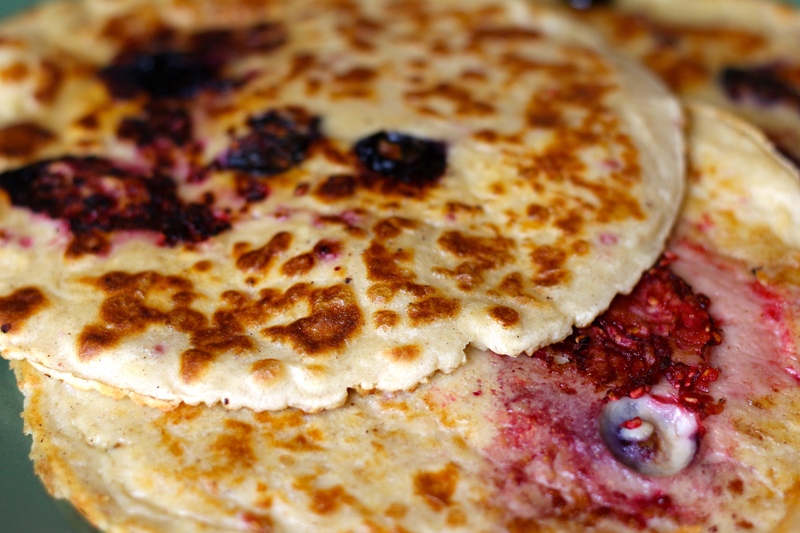 As the mixture is quite watery you don’t want heavy berries to cause your pancakes to go to mush in the pan. I use the back of a spoon to squish them. Put a small pan on your hob and add a knob of butter or spread. It doesn’t matter what you use here, just something to lubricate the pan a bit and ensure your mixture doesn’t stick. Don’t use too much or else you’ll be able to taste it later. Ladle some batter in and make sure the base is covered. Leave it alone to pruttle – another technical term – for a bit until you can run a fish slice round the sides without wrecking the shape. Now, this is the tricky bit. 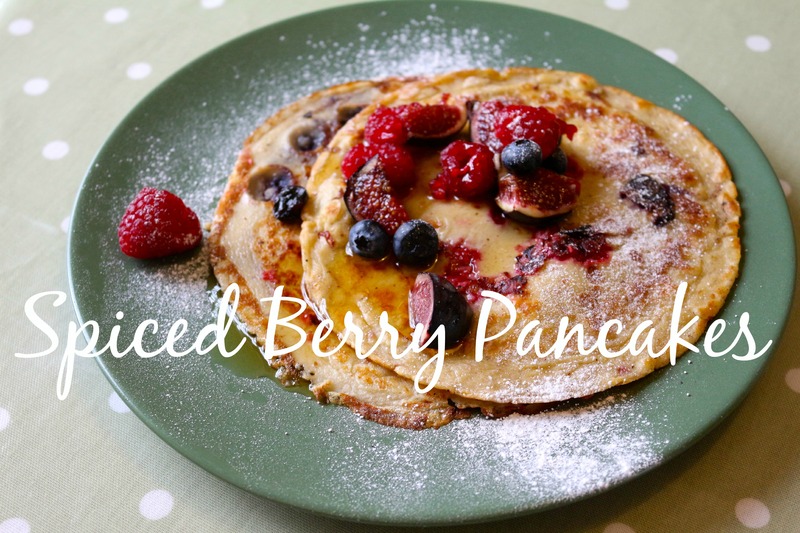 As the berries are quite dense they can make your batter a little heavy so if you think your pancake might fall to pieces when you turn it over leave it for another few seconds. When you’re ready to turn it use your fish slice. Do not flip these unless you want berries on your ceiling! Once you’ve turned your pancake over press your fish slice lightly down on your pancake. 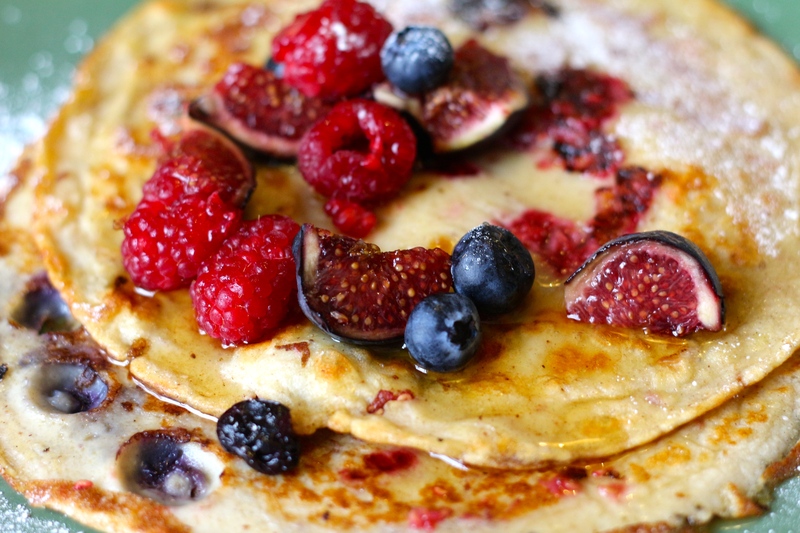 This will cause your berries to ooze and helps the remainder of your pancake to cook better. 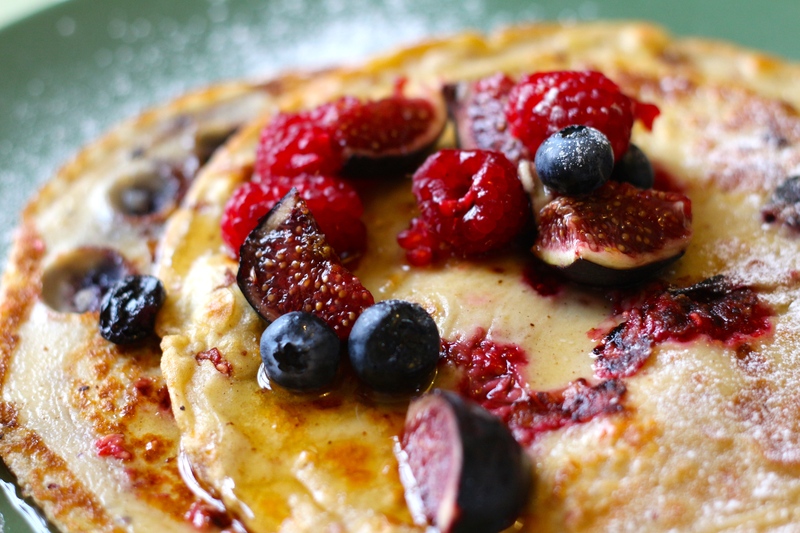 The first pancake is always a dud, as is the tradition with all pancakes but luckily this recipe makes around 6. I add a little spread to the pan after each one. Give your pan a wipe with kitchen roll if you get any charred bits so they don’t stick to the next pancake as it cooks.